A typical chair has a seat, back, four legs, stretchers connecting the legs for reinforcement, often will have arm rests. All of these parts are interconnected, and if there is looseness in one joint, there will soon be looseness in other parts of the chair. Fix these small issues before they become a full blown problem! The most important joint on a chair is where the back meets the seat. This joint is stressed every time the chair is pushed back or leaned against. The higher the seat back is, the more stress there will be. Arm rests are features that provide good support to the back. "Hip huggers" are small features that are designed specifically to provide support between the back rest and the seat, this can greatly add support to chairs that people often 'lean back' in. Corner blocks made out of a hard wood and glued + wood screwed under the seat will add great support if the chair design is appropriate. They are generally the first thing we add to a chair in need of reinforcement. When buying a chair check for adequate stretchers between the legs that run front to back as well as right to left. If the seat is upholstered, check underneath to see that there are corner blocks. Something to consider is that softer woods such as fur or pine will probably become loose sooner than hard woods like maple or oak. At home you can do basic things to reinforce your chairs. Always have appropriate glides (metal on carpet, felt on hard floors, plastic on either) on the feet of your chairs to alleviate stress caused by sliding them. Installing new glides should be done consistently to prevent them from failing and potentially damaging either the floor or the chair. Check the tightness of your chair by putting one knee on the seat (with one foot still on the ground) and grabbing the chair back. With both hands push back and give your chair a firm wiggle. If there is noticeable wiggling in the joints, be warned! The chair will need to be glued or reinforced with larger screws to prevent the movement from getting worse. 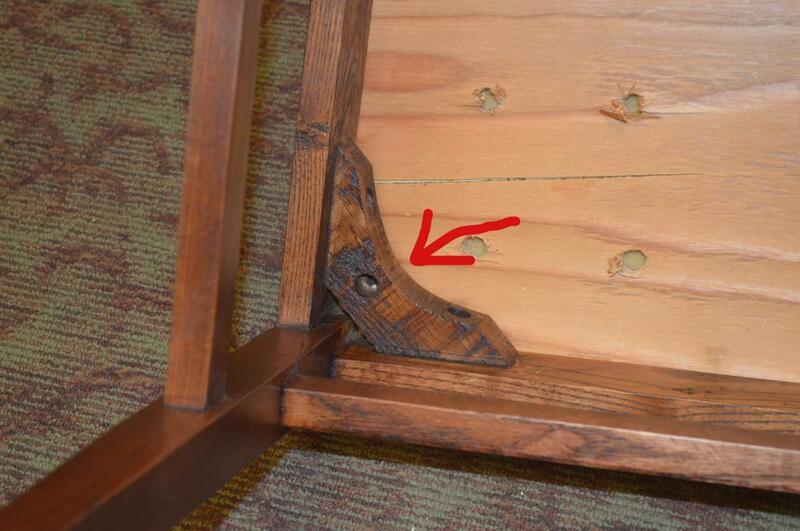 Modern chairs often have bolts running through their corner blocks that you can tighten with a wrench. You can also drill or pop out the plugs on the back of the stiles of your chair and replace the wood screws with larger screws, or add screws if there are none. A quality wicking glue (very thin glue able to seep into wood fibers) will work its way into your chairs' tight joints and harden the wood, preventing movement. This is an easy way to reinforce certain chair joints without disassembling them. But you should only do this if the joint is a very close fit! 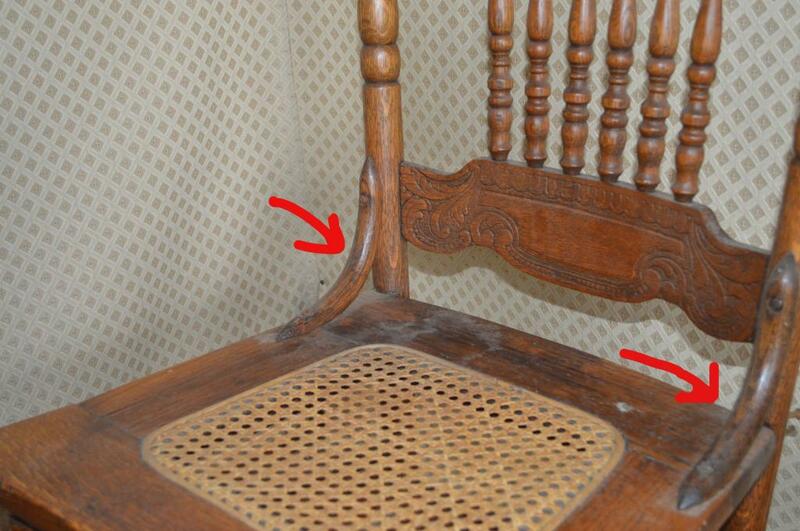 When fixing up your chairs, consider sprucing up the finish using our old "go-to" product Mar-a-way! It's great at cleaning up off any residue or collected gunk, hiding light scratches, and restoring color and shine to the furniture. See our How-To Video of Maraway in action!